Iranian women are posting pictures of themselves online without headscarves and racking up thousands of Facebook likes in the process, the latest challenge to Tehran's strict morality laws mandating that women keep their hair covered in public. A Facebook page called "Stealthy Freedoms of Iranian women" showing hundreds of women without the hijab -- a veil that covers a person's head -- has garnered more 142,000 likes. 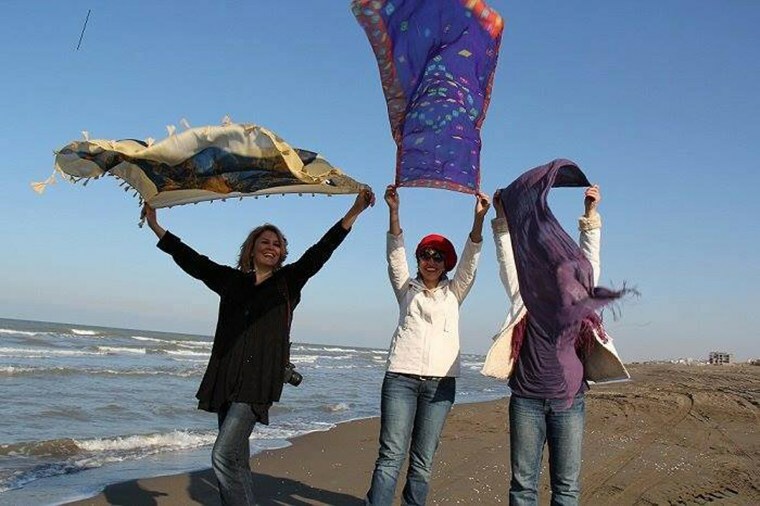 Women have used the hashtag #mystealthyfreedom to post pictures of themselves without headscarves riding bikes, dancing, or even sitting in flower beds, flouting rules that have been in force since the 1979 Revolution. "This page is not only for women who are against the hijab, this is also for religious women who wear the hijab but don’t believe it should be enforced on people and think it should be a choice. So you if you are a religious woman who wears a headscarf but doesn't think it should be enforced, please send in a picture of your friend, family member or daughter not wearing a hijab." Since the revolution, there have been crackdowns on women who protest laws that forbid them to reveal anything more than their face, feet and hands almost every summer. And while President Hassan Rouhani has been quoted as saying that he does not believe men and women should be punished for flouting the dress code, it is not clear whether the country's morality police will take the same view. It is also unclear what sort of reach the #mystealthyfreedom campaign has in Iran, where residents have to find ways around government Internet filters that block out Facebook, Twitter and many foreign news outlets.